Please find enclosed a sponsorship proposal for your consideration. I am submitting a sponsorship proposal for a mountaineering expedition and the making of its documentary. The expedition and the resulting documentary will be one of its kind as it will not only feature a women mountaineer of Pakistan for the first time, but will also expose areas of Pakistan which are bestowed with immense natural beauty but have never been shot before. Mountaineering is a sadly neglected sport in Pakistan. The neglect is sad because Pakistan is home to five out of the world’s fourteen eight thousand meter peaks. Mountaineers from all over the world come to scale these peaks and yet our own country has been unable to produce female climber of any merit. The absence of female climbers in our country is lamentable and this project aims to rectify this neglect. Also lamentable is the level of ignorance that prevails regarding this sport in particular and Northern areas in general. I shall be grateful if you could take a few minutes of your time to look at the sponsorship opportunities enclosed and generously support this unique and exceptional initiative. If you wish to discuss this further with me, please don’t hesitate to contact me. I will be in contact with you in the next couple of weeks to discuss this proposal. Times have certainly changed. Today women in Pakistan are working in every conceivable role. Even fields previously considered solely males’ domain are now open to women: army, police, you name it and women have made their entry there. We have a woman general in the army, we are proud to pass out the first batch in South Asia of Lady Rangers Officers (LROs) and the sight of female traffic wardens, smart in their uniform and alert in their duty must make every woman, proud. However, despite all these strides made by the women and also by the society and the govt, female gender is still striving to prove itself in fields which are entirely dominated by men. Mountaineering being one such.  Overall unawareness in society about mountain sports in general and mountaineering in particular.  Long absence from home in complete wilderness, which the nature of this sport demands.  This sport is highly expensive.  The biasness and prejudice against women, which presupposes women’s’ incapability to climb. For all the above reasons, any project which would entail promoting, projecting, encouraging female mountaineers would be epoch making and historical, breaking myths and changing realities. Nor is this project to be taken in isolation. It’s part of a bigger scheme of things, something which would culminate with Pakistani female/s on top of Everest. This, I think has become need of the hour. Around us, Everest has been climbed by Iranian, Indian, Nepali women. No Pakistani woman has ever climbed any of the 8000er. This becomes quite ironic when considered that Pakistan is home to five out of the fourteen 8000ers in the world. This fact also sends a wrong message across, portraying the image of this nation as backward and hostile to women. Promotion of women mountaineers will help project the softer image of Pakistan, presenting us as a progressive and modern nation. The project is to climb Ghoz khon Ser (6400ms) a peak situated in the Shimshal region of Pakistan. The peak is yet unclimbed by anyone. Our project can put the first female/s on top of it. Surrounded by innumerable, fascinating and awe-inspiring peaks, glaciers, alpine meadows and trekking routes Shimshal is the last and inaccessible village of Pakistan about 3000meters above sea level. Living in this remotest of the place in Pakistan the sons of this land are matchless in terms of mountaineering prowess and techniques, and have made a remarkable contribution in mountaineering history of Pakistan. Shimshali men are globally recognized as guides and high altitude climbers. Twenty men from Shimshal village have summitted one or more of Pakistan’s 8000m peaks, a feat unrivalled by any other village. In 1998, Rajab Shah became the first Pakistani to summit all five of Pakistan’s 8000m peaks. Pakistani women are equal to these tasks and have everything on their side but the society. For one, this expedition will boost women’s confidence in themselves. It will become an example for many of those women out there, who only needed an example to make them realize their own potentials and capabilities. It will, through example, prove wrong all those prejudices and biases which claim that women are inherently not up to this task. Further, it will boost the tourism industry, which has been the worst victim of the current law and order situation in Pakistan. In the wake of deteriorating law and order situation, the number of foreign tourists coming into our country has considerably declined. It is imperative therefore to encourage domestic tourism, which this project is expected to do, as the livelihood of the people of this region depends on this. Expedition details along with the Itinerary and cost is as follows. It is based on a five person team: three climbers and two production team members. It can be modified according to the needs of the production. PRPOSED PEAKS FOR THE EXPEDITION. Both of the following peaks will afford abundant opportunities for filming areas of extreme natural beauty, never before filmed or aired by any TV channel of Pakistan. The landscape will vary from picturesque pastures, snow capped peaks, glaciers to snowy slopes of the mountains. The photographs attached of the area will give you a glimpse into the immense yet unexplored beauty of these areas. Sonia Peak is located in the remote North Ghuzerav Mountains north of Shimshal close to the Chapchingol Pass. It falls within the boundaries of the Khunjerab National Park which is adjacent to the Tashkorgan National Park in China. Even by Pakistan's standards the Ghuzerav Mountains are underexplored with numerous virgin peaks awaiting the intrepid climber. At the heart of the range is Sonia Peak, a beautiful pyramid of almost perfect symmetry. It is ideal for those looking for a technically easy climb in the outback of Pakistan's wilderness and is no more than an Alpine PD grade. Whilst the peak is relatively close to the KKH few people choose to climb mountains in the Karakoram Range this far north. Sonia Peak was found and name by Michael Beek of Germany in 1994, the peak's name and climbing route was than first introduced in the first edition of the geman trekking guide "Pakistan-Land-Geschichte-Kultur" in 1996. However in Lonely planet it mentioned that local Shimshali Rahmat Ullah Baig first climbed the peak. Sonia referring to an expedition members' wife. Dispite the mountain's remoteness it has since been climbed many times with the most popular route approaching from Chapchingol Base Camp to the East. A less familiar ascent can alternatively be made from the north along an unnamed glacier, which eventually leads to the KKH by way of a small river. The north ridge was first climbed by a Local Shimshali guide called Hasil Shah and resultantly referred to as the “Hasil Route”. This north route is considered safer then the south face with quicker assess. Ghozkhon sar is a peak, yet unclimbed, situated in the Shimshal (pamir) region, this peak was first attempted by a Local climber Mirza Ali but couldn’t successes. The peak has an awesome look from the bas camp, famous braldu river gushes down adjacent to the bas camp of the peak, the historical “Quz”, which was used Chinese military as cantonment before demarcation of boundary between pak and china in the 1960’s. The shimshal pamir (shimshal pass) segregates central Asia; it has inspirational landscape, which has no alternative any where in the world. Annual Wilio festival (Yak Racing) is found no anywhere in the world, this game is being played here for years in reminder of their great predecessor (Sher), who won the land by playing Polo on Yak back against Chinese with Horse. This festival attracts thousands of visitors across the world due to its uniqueness. 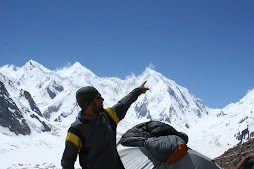 From the top of this peak, K2 and other 8000m peaks are easily viewed, the surrounding peaks are additional advantage of filming this peak expedition. women expedition to this unbeaten region is awesome and climbing an unclimbed peak is a History. A detailed report of the expedition from its launching ceremony, climbing, media briefing and ending ceremony will be sent to the donor. A documentary movie and pictures will be taken during the expedition, a special thanks letter will be sent to the donor. Advertising can be made if the donor sets any criteria to advertise any product of the company in the shape of cloths, attached monogram of the company for the expedition, banners or any sort that the sponsors design. Advertising can be made while climbing on the mountain and during media briefing.